Say what you will about his current level of celebrity, but a decade ago Nick Cannon was on top of the world. 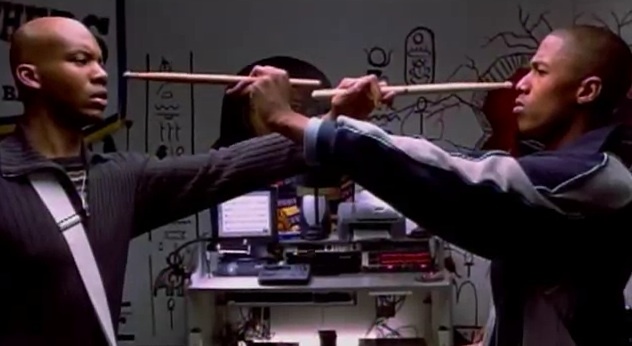 When Drumline arrived in theaters I was a freshman in high school marching band and literally every person in my class thought Cannon was the best thing since the late-90s resurgence of boy bands. His other features were perfectly watchable, but Drumline had the right amount of heart and funny to strike a chord with throngs of moviegoers worldwide. The film performed well at the box office, made a killing on home video, and for many years was in regular rotation on cable. Heck, you may still be able to find it now, especially after what I am about to tell you. This fall, Nick Cannon is going to produce and co-star in the long-awaited and widely thought unlikely Drumline sequel. Yes, even though his character should have graduated a long time ago, Nick Cannon is returning to the screen to help deliver a new tale of marching band battles that will hopefully kickstart a new franchise. Drumline: A New Beat is currently being written by Regina Hicks and Karin Gist with the aim to have its world premiere on VH1 this Fall. By updated, he means replacing the male lead with a female. Will it work? No additional details are available at this time, so I guess we’ll have to wait and see. You can view clip from the original film below. Comment and let us know if you’ll be setting your DVR for Drumline: A New Beat this fall.